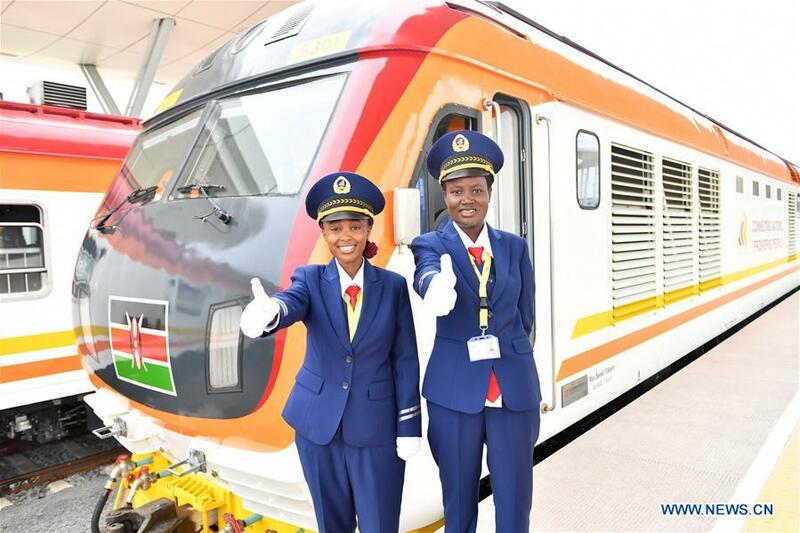 Madaraka Express is what Kenya Coast Tourism needed – Mohammed Hersi . A hotelier who is passionate about Tourism & Governance in Africa. It is my pleasure to welcome you to my blog. Impact of Madaraka Express on Mombasa & Kenya Coast Hotels. Firstly SGR core business is NOT passenger service. Cargo is the core business but as tourism players we are delighted. We have seen the huge domestic tourism campaign over the past years. During the travel advisories, Nairobi residents saved Mombasa. To get to Mombasa and Kenya Coast main option was to fly or hit the road. Despite all those challenges they still helped us survive and we cannot thank them enough. During festive and busy weekends flight cost return can oscillate between Ksh18,000 to Ksh 40,000. A family of 4 would be expected to cough say Ksh 80,000 If we assumed a ticket would cost 20,000. If the same family opted for Madaraka Express and paid Ksh 700PP they would be looking at Ksh 5600 only which means they will have Ksh 70,000+ to spend at a good resort. Many ME users have told me that the economy class is perfect besides there is more life there as opposed to the 1at class and they get a game drive across Tsavo as a bonus. A hotel may charge say 20,000 A day for 2 adults sharing with two children. This family will now enjoy a weekend at a decent beach resort and still be left with Ksh 30,000 . What about all the small hotels on the island? They are all busy . It’s simply amazing. Now you can see the power of affordable reliable available mass transport system. Accessibility is key to any destination. If getting to a destination becomes too expensive and unreliable then potential clients will simply go elsewhere or choose to stay at home. Once KR get the online bookings in place ( please work with Ticket Sasa and conclude this matter) and more frequencies then I see more Nbi based firms opting to hold their meetings in Mombasa and Kenya Coast . In the past many firms would avoid Kenya Coast due yo cost of flying then Naivasha was discovered. Well for Naivasha hotels I don’t have very good news for you, the cheese seems to be moving back to the coast hence you need to wake up and smell the coffee. You now need to get creative and show Nairobians why they have to come to you. To Mombasa and Kenya Coast hotels, please put on your thinking hats. Get creative, make it easy and memorable for Nairobi residents to choose your resort . Make it exciting, invest in entertainment, get creative chefs and give flawless service. What about helping your clients get return tickets since that is one thing that is worrying them. Well I have seen a surge in arrivals in many North coast resorts more so on Fridays. School groups are also opting for Madaraka Express. I saw a ladies church group the other day. Folks Madaraka Express is indeed a game changer , June a quiet month has been fairly a good one. Once the 2nd trip is introduced we are talking of 2000+ passengers a day either way. Well the choice is yours . Oh really? and how does a Tourist buy a ticket before hand? Well here we are mid october and tourist still can’t book tickets unless you have a m account, I wouldn’t worry about tourists, youre not going to get that many unless things change – 14 e mail sent, replies 0. Now Kenya has banned the 20 cm x 20 cm ziplock bags!!!!! Don’t get me wrong, I agree with the plastic bag ban, but all european and us security won’t let you on a plane unless your creams and liquids are in one of these bags on your carry on – this includes medication. I’ve just spoken to Frankfurt and they have confirmed any liquids have to be in these bags to be accepted on flights in and out of Frankfurt – no wavers, medication would be confiscated. Dumping the bag at Mombasa would not be the answer, as the bag is needed on the return trip. He was not even aware of the bag ban. Mind you its not mentioned on any of the airline web sites or even the UK foreign office web site. The only good thing is that my evisa went through in just over two hours – mind you getting the visa on arrival is just as quick.